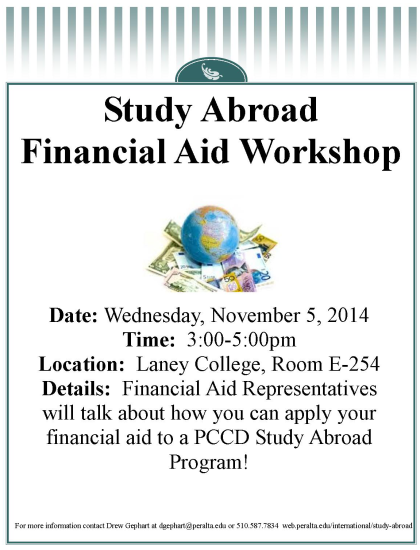 If you are interested in studying abroad but not sure how you can afford to, or how to assist students, come to this very important information STUDY ABROAD FINANCIAL AID WORKSHOP. 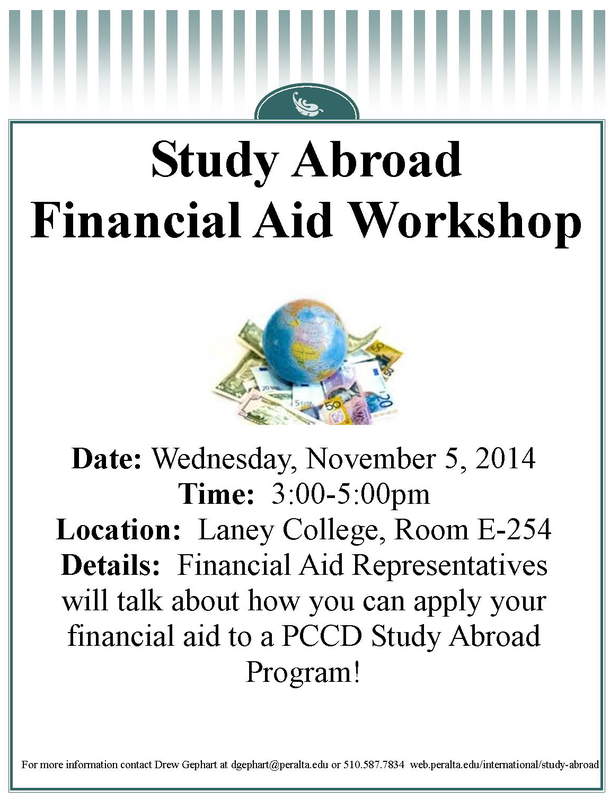 Representatives from Financial Aid will speak to PCCD faculty, staff and students about how to apply for financial aid to help cover the costs of studying abroad. You don’t want to miss this event! For more information contact Drew Gephart at (510) 587-7834 or dgephart@peralta.edu. Explore the rich culture of Havana, Cuba through the lens of dance, music, and spiritual traditions. Study Cuban dance forms with local Cuban teachers and dance partners. Tour historical sites, visit eco-communities and experience the life and rhythm of Cuba. The program, through the Laney Dance Department, is open for all levels of participation and will give you a unique view of the Cuban dance world and lifestyle. The U.S. Department of Education has awarded African American Studies at Merritt College a 2012-2013 Groups Project Abroad Grant to develop curriculum related to the African presence in Brazil, S.A. as a means of enhancing student learning related to the African diaspora. 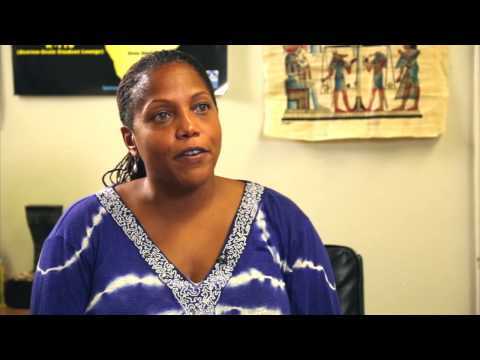 African American Studies Professor, Dr. Siri Brown, talks about the importance of traveling to expand the understanding of one’s own culture.